I took up the ukulele about six weeks ago. It's a fun instrument. It's easy to carry around. And it's a ukulele so you don't have to be that good at it. 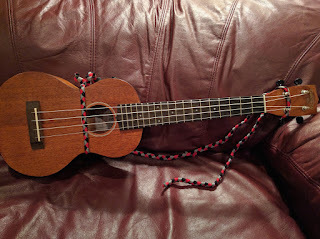 I got a concert uke, which is longer than the soprano. The soprano was too small for me. 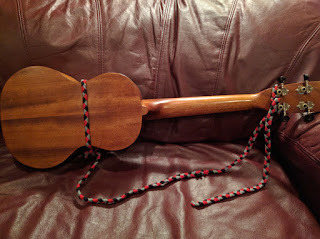 Since the concert uke is a longer instrument, I can't hold it against my chest with my right arm. So I need a strap. Instead of buying one I decided to make my own using the instructions I found here. 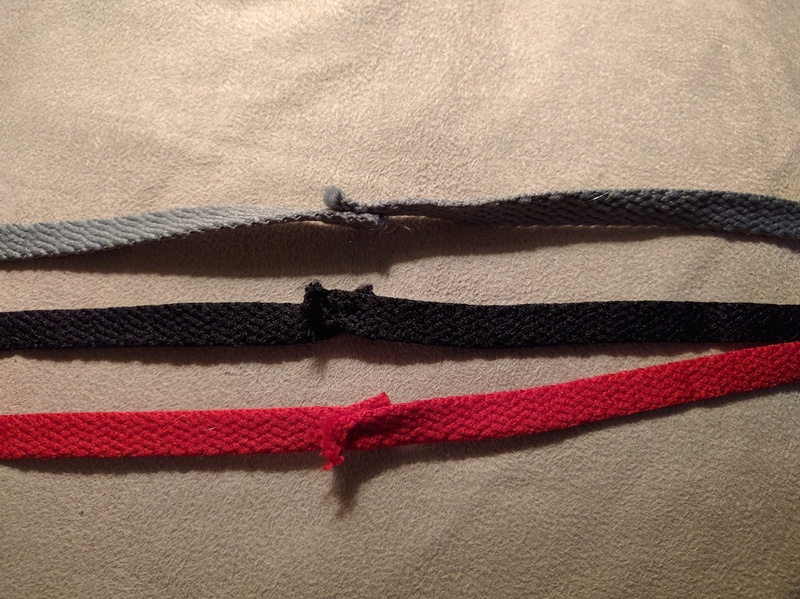 I bought three sets of 45-inch laces: black, gray, and red. But I did a couple things different from the instructions. 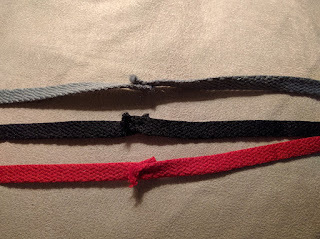 Instead of tying the ends of each set of laces together, I cut off the ends and sewed them together. This made for a cleaner look once I braided the laces. 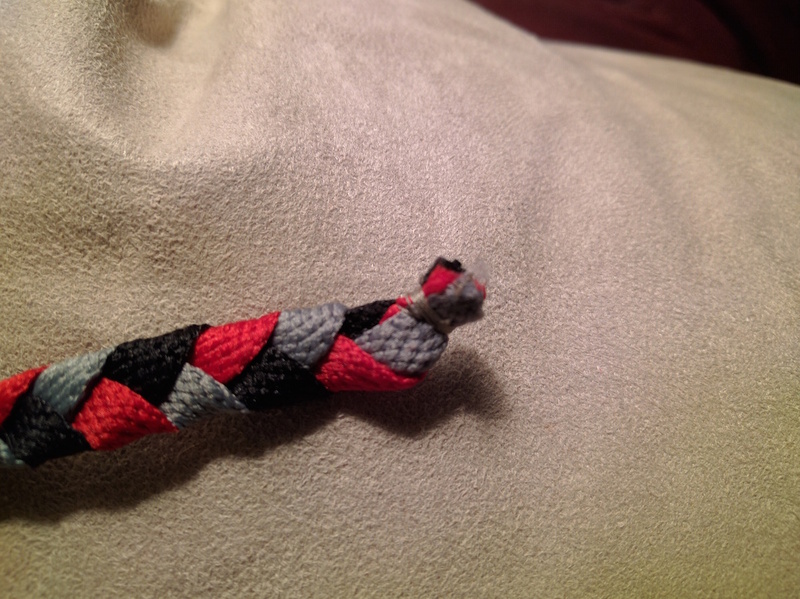 Instead of tying the ends of the shoelaces together at the end, I cut the ends off, lined them up and sewed them together. This, too, also made for a cleaner look. At first I tied the strap just above the nut. In that position the strap interfered with my left hand just a bit. So I moved it to between the two sets of tuning keys. It works great and it looks pretty good.